One of a kind beauty. 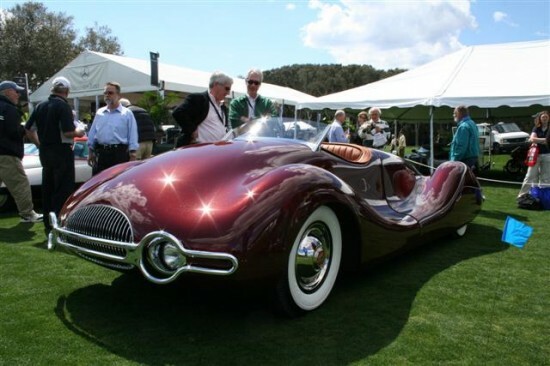 This Streamliner was built by Norman Timbs, engineer form LA with experience in building cars for Indy 500. 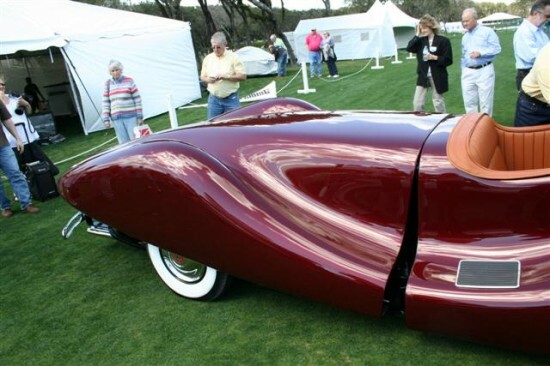 Norman built this in 40s and it costed him around $10K. 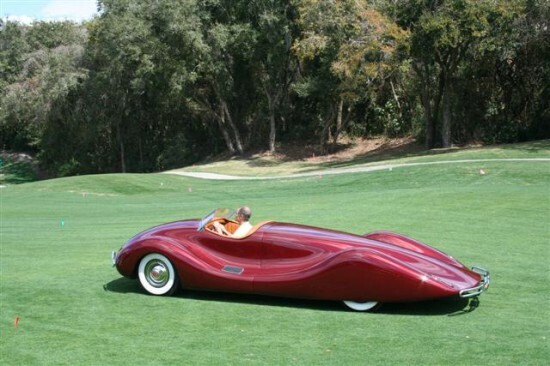 Some say the design of this car was inspired by Auto Union racers back from 30s. 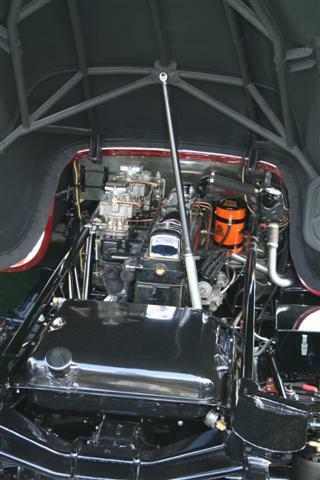 The 47-inch tall car is powered with 1948 Buick straight eight engine with dual carbs. 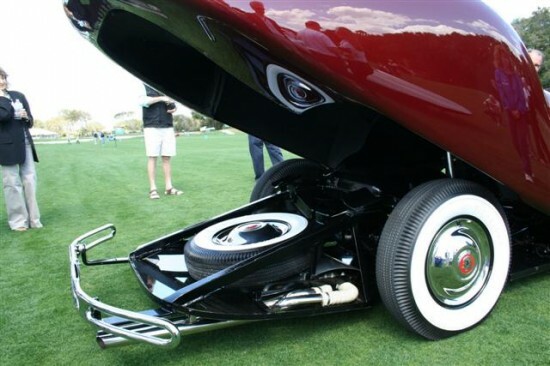 The independent rear suspension is custom made from modified elements taken from Packard and 1947 Ford. 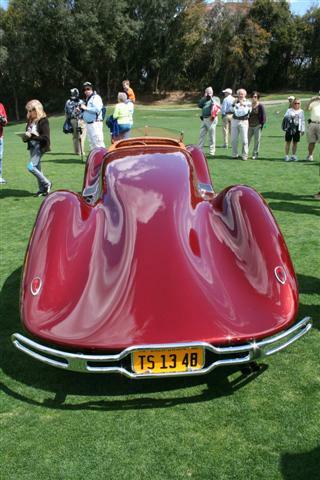 It is said to reach 120 MPH. 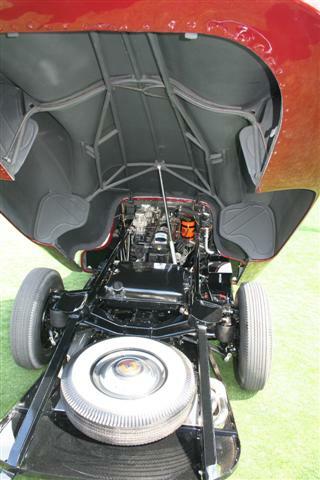 The 17 feet long 2-peace body is a unique structure of hand-formed aluminum and tubular frame. This structure allows the tail section to be opened behind the cockpit. 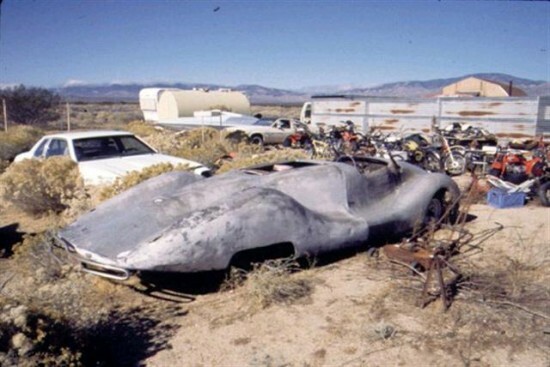 This car was left to rotten in the desert of California, but luckily, it was found and restored by the noted unique car collector Gary Cerveny.